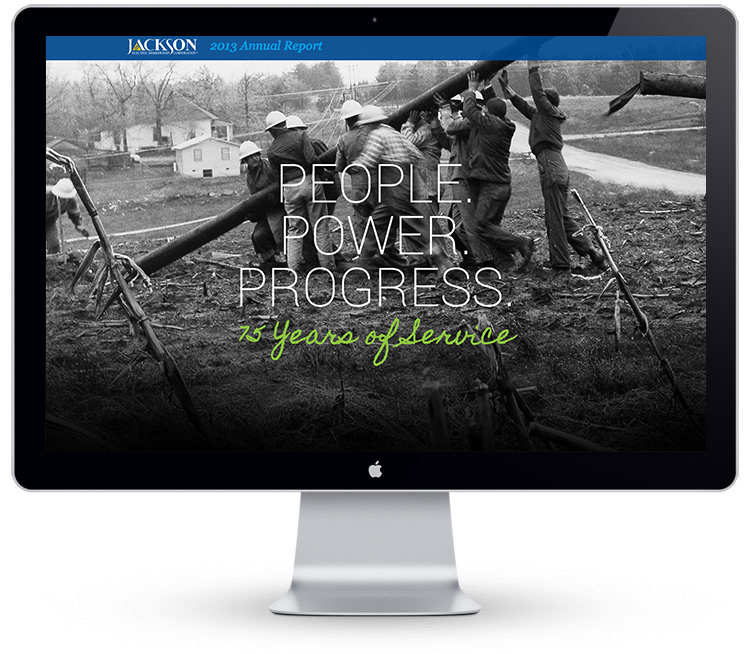 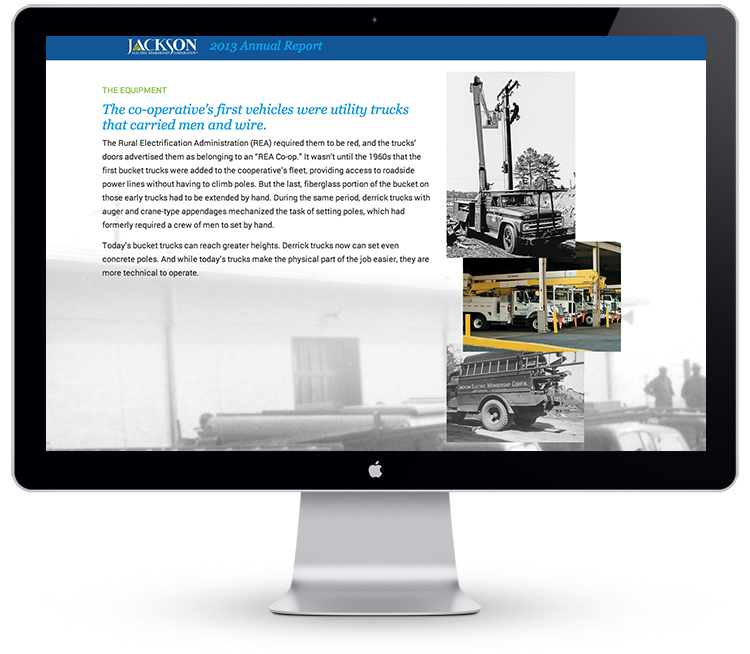 Jackson EMC has an incredible story – and on the anniversary of their 75th year, they wanted their annual report to reflect their pride in their history – as well as show how far they have come since those first days of bringing electricity to rural northeast Georgia. 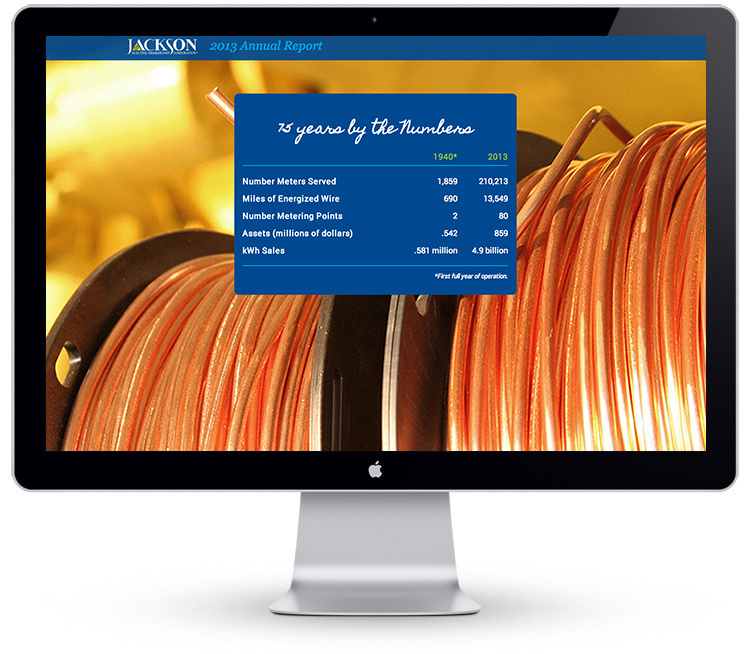 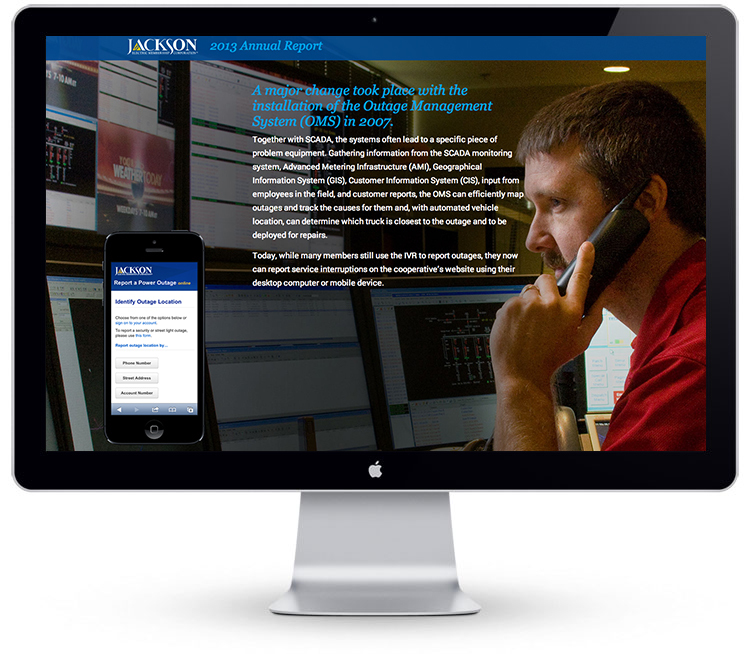 We designed and developed this website using parallax scrolling as a way to show the early history of the company as it transitioned into what is now the second largest EMC in the country. 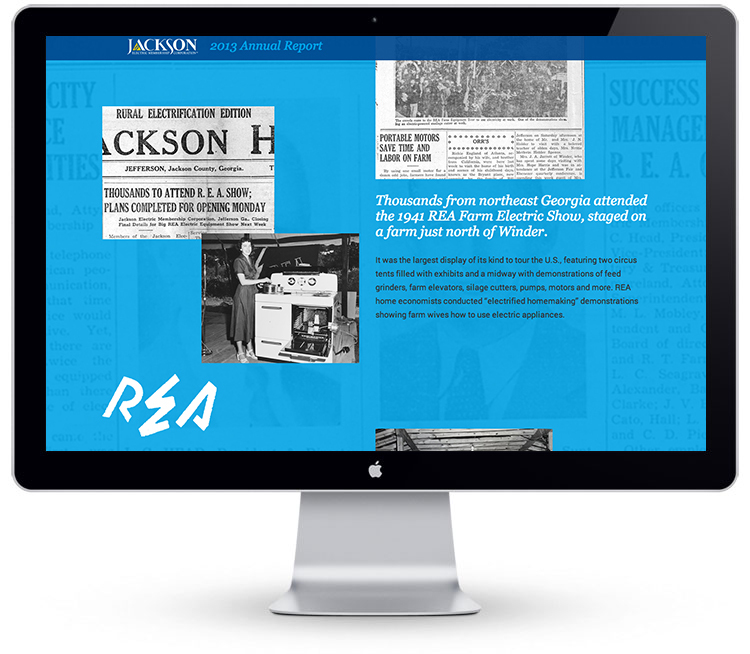 Visit the Jackson EMC: 75 Years of Service website.